Don't think insuring your bike is important? Procrastinating because who wants to go through a tedious process and run around to get a boring two wheeler insurance? Think again! Coverfox gives you a convenient solution to insure your set of wheels TODAY! Our bike is our saviour when we are stuck in sticky situations –be it picking up a stranded younger sister when it’s late or when you run out of green chilies’ mid-way while cooking the Sunday brunch for the family. Considering how often we run into such situations, it’s obvious we need to take care of our bike. Taking care does not only mean merely washing your bike everyday or getting yourself a helmet. A Bike insurance is what helps you with those small dents or when the wheel gets bent. It's not about the accidents or our We may be safe but how safe is your bike? 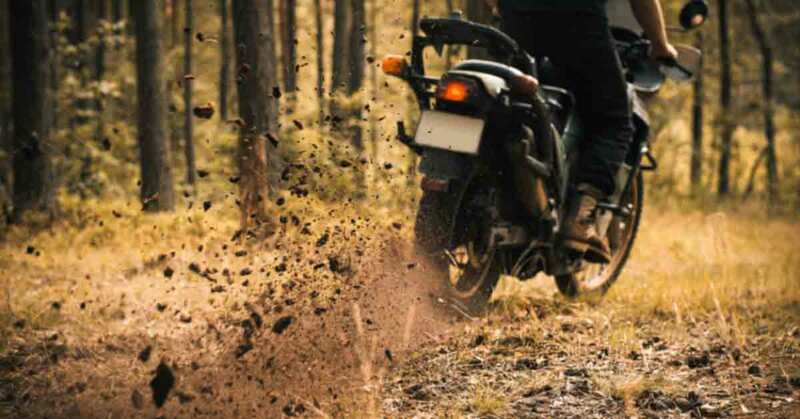 Bike is that one thing that makes a safe-landing possible for all misdeeds that happen with your bike. It’s a good thing that the law makes it mandatory to keep your two wheeler insured. Your insurance copy is one of the documents that cops check at those traffic signals and trouble comes in the form of a lapsed policy when you don’t renew it on time after the policy’s annual tenure. 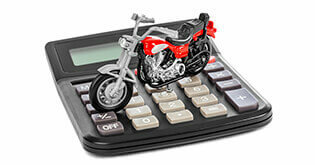 Why you would not let cost determine your bike’s value – because it’s not even expensive! Having got yourself a dream bike, its safety is hardly something that you would want to compromise on. Yet, it’s not necessarily true that something so precious need undoubtedly be priced high. A comprehensive policy for an average two wheeler costing Rs.50,000 will range from Rs. 1000 to Rs. 1200. That said, it’s not as if you need to pay so much every year either. As your bike ages, even from the second year onwards, the premium decreases making it all the more easier for you to renew. There are two types of Insurances available - Comprehensive & Third party. A Third Party liability cover insures you against damages that you may do to a third party – be it damage to property or injury to person. This cover would not cover your losses by way of damage of theft to your bike. A comprehensive cover includes the third party cover and another for your own losses on account of damage to your car. Motor Vehicles Act makes the Third Party cover mandatory in an insurance policy. 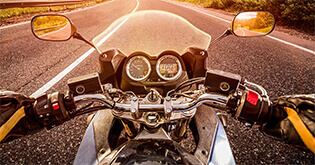 Now the new draft Bill is going to replace the Motor vehicle Act, emphasizing more vehemently than ever, the need to have a valid bike insurance policy. We highly recommend that you always opt for a comprehensive cover covering not just your safety but also the others who could unfortunately get injured by your bike. Not only because it’s good to be covered but also because the incremental cost of getting both is minimal. 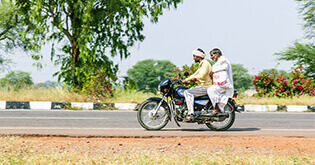 A third party liability cover for two wheelers costs barely about Rs 500 and a comprehensive cover can be gotten as low as Rs. 800. Add to this the convenience of buying a policy online, should make it the order of the day. Buying things online now is as simple and normal as email is to most of us. People now do everything online-from finding policies to comparing features and purchasing or even renewing it! 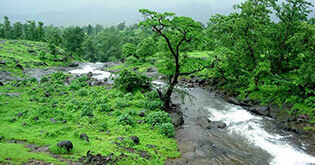 And every insurer has made this process of buying the two wheeler policy online much more easier by waiving off submissions of all those tedious files of documents you usually hate having to unearth and carry whenever you want to take a policy, offline. When was the last time you worried about booking a movie ticket or buying a tee online? This, I’m telling you, is just the same! 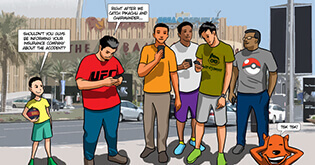 Why internet is intent on ensuring customer remains king! Cheaper policies made available online. Companies offering lower rates since there are operational savings that are passed on to you. Paperless transactions are not a dream anymore. Internet understands how much we all hate all those documents that are absolutely necessary when we have to walk-in to insurance companies. Well, not anymore! Talk about saving time, energy and money! While on the same page as time-saving, internet doesn’t even make you fill out long forms asking for never-ending details. In fact, when people like us at Coverfox use internet to serve you, the customer, the awesome interface we use makes sure that it remembers all your details, asking as minimally as possible, even for the next time we need it. Transaction remains simple and you have access to all the information you may need to make your smart purchase. Internet is the one thing that gives meaning to the word instant, because that’s how instantly your policy can sit in your inbox. Imagine having to get in touch with random people in the real, physical world when you want to know about how beneficial a policy has been for them. Internet understands the unthinkable and rather rude process and offers reviews whenever and wherever you want to read them, as long as you are looking for it. Well, you don’t ask people coming out of a theater for their movie review. It’s just like that! One accidental damage or theft can prove to be a significant hit on your financial budget. It will make your daily commute harder, and you would have to pay double of your daily expenses just for the commute alone. This is where the Comprehensive policy can save you as it covers theft, loss, accidental damages, total damage, even fire, riots & acts of god. 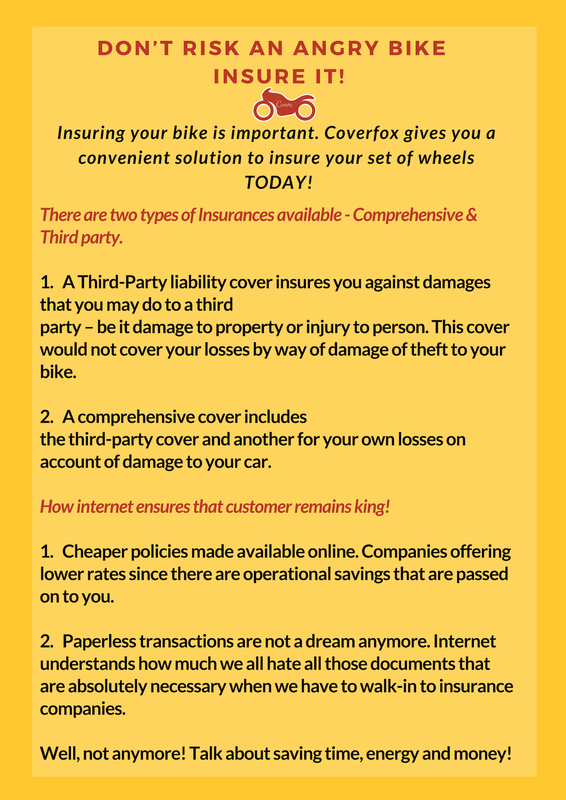 Apart from all this, if you have just been procrastinating renewing your bike insurance plainly because you hardly used your earlier one, then I think we should jolt you with this! To know more of such awesome facts, get in touch with us or leave us your comment right here and we will tell you how easy it is to safe-guard your precious dream machine! 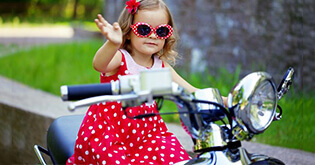 Begin your awesomeness right now and buying your bike a cool insurance policy, right here right now! Why Dodge Trouble With A Lapsed Bike Policy When You Can Smooth Sail Through The Renewal?